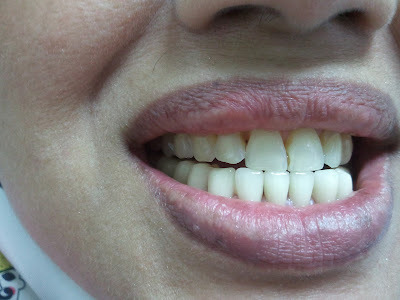 Datin Hasnah had always wanted to have a beautiful set of teeth. Being a director of a public listed company, a mother of three, and a grandmother of 2 she has always been busy keeping her family and career at the top of her priorities. She had always tried to maintain a good oral hygiene, but stress and age caught up with her. She was happy with her life, but not with her teeth. Datin Hasnah finally decided to pay us a visit to set things right. 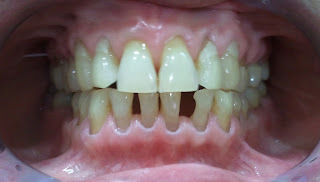 She voiced out her concern about her teeth, and wished to change her appearance. 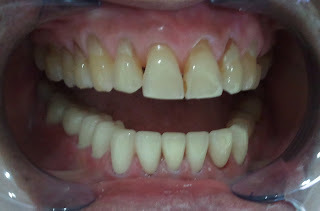 Being a very religious person, her main concern was to establish a good dental function, being able to carry out good oral hygiene ( to aid the cleanliness ) and last but not least, to smile confidently again. 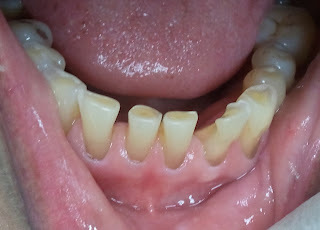 Our team had diagnosed her dental dilemma, and we were ready to begin our treatment plan with her. We started by taking some digital imaging of her, and analyzing them. Fine details were taken into considerations, such as the midline, moderate smile line margin, lip line, and teeth exposure. 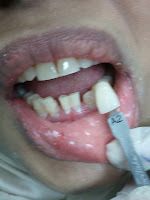 She had gaps between her teeth, and was concern about it. After proper considerations, a treatment plan was then constructed for her. The analysis proved favorable to the a construction of a new set of lower teeth design to fulfill her needs to eat comfortably, brush her teeth properly, with a touch of beauty to it. Since the treatment was going to involve most of the bottom teeth, a new shade was chosen to enhance the beauty of the upcoming crowns. in the mean time and patient was sent home. The crowns were ready after a week. The patient was called and the new crowns were placed in. The final results were stunning. The crowns had covered ALL THE GAPS between her teeth previously, maintained her midline, and had a wonderful shade. 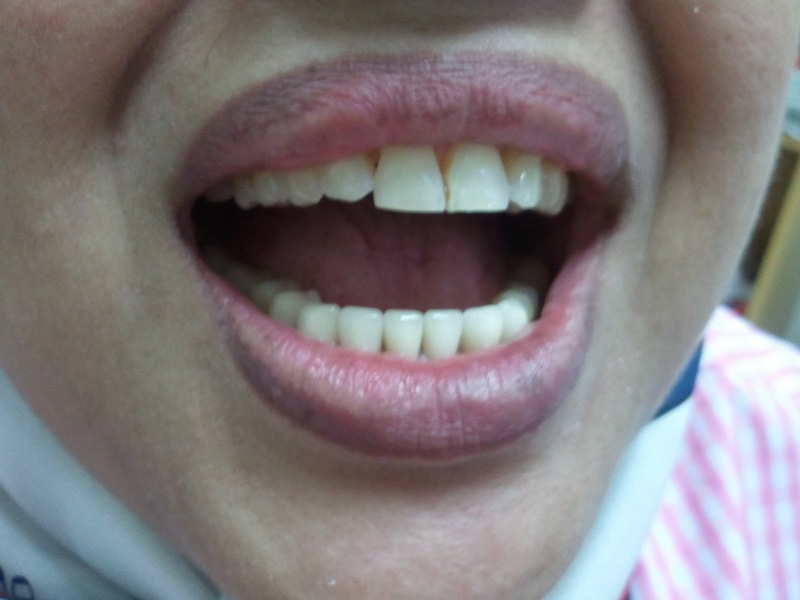 Datin Hasnah was very pleased with her teeth. Seeing her, her husband decided to go on an odyssey to replace his missing teeth! That's … just another story altogether.